Was für eine wunderbare Fisch! Wie bunt !!! nos ha encantado pasar el día en familia, muy buen precio y las instalaciones son una pasada. Día perfecto la próxima repetimos. Una pasada! Es increíble lo cerca que te sientes del mundo marino! Visita obligada para ir con los niños, uno de los mejores acuarios que hemos visitado! A very large attraction with lots of marine life , sharks, octopuses and many others, there are long water tunnels which you can see them swimming over you. 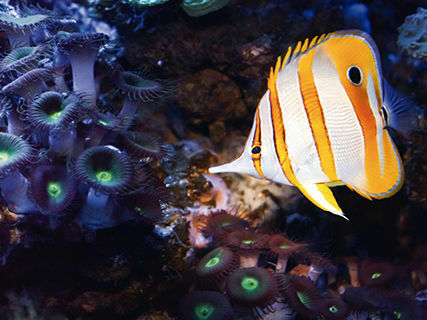 If one plan to visit the aquarium with kids, it's totally ok! There are many attractions for kids, and the entire atmosphere is also good for children. Fantastisch. Ein Paradies für Kids. En trenger ikke å sette av en hel dag i akvariet. Det var mange busser med turister som kom samtidig, og det ble derfor veldig vanskelig å komme til de minste akvariene med småfisk i de smale gangene. Mitt råd er å gå i tolvtiden slik at folk er mer spredt i anlegget. Den største attraksjonen var å se dykkere svømme med haiene. Good place to visit, you can find some brochures with 3-4€ discounts which works perfectly. We finally paid 20€ which was quite fair price. 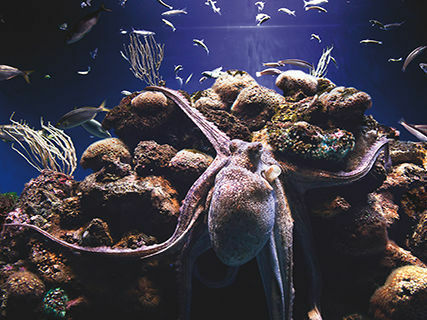 It maybe is stuffed with some pseudo attractions and some big playground for kids which makes the real aquarium area smaller than expected but still it is quite big. 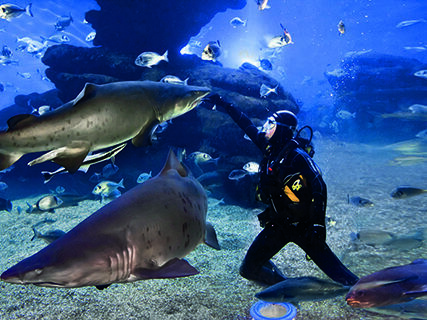 There are many huge aquariums with really different species. There are many sharks (maybe a bit sleepy/confused). It is quite commercial, photo on entrance that you can buy later, photo with big colorful parrot but if you don't bother you should wish it.